In other news, this site has moved to AspasiaSBissas.com: follow me there for exclusive content, deals, and news. 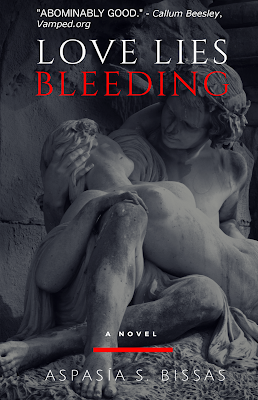 You can also find me on Facebook, Goodreads, or Twitter. Cheers. 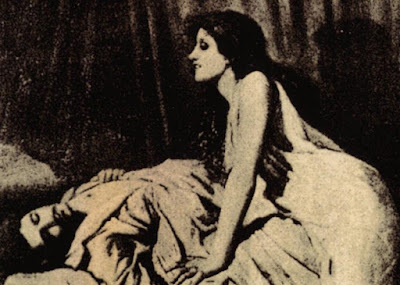 What happens when mathematicians start talking about vampires? You get debates about how long the human race could survive a vampire onslaught. And people say math isn't fun. Read more here. 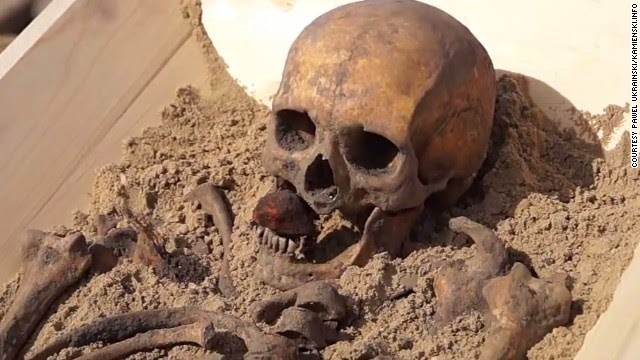 A body recently exhumed in northwestern Poland is thought to have undergone a vampire burial. A rock was found inserted between the teeth, some of which had been removed post-mortem. A stake was also inserted into the thigh (originally stakes weren't used to kill suspected vampires, but rather to secure them in place to prevent them going walkabout among the living). 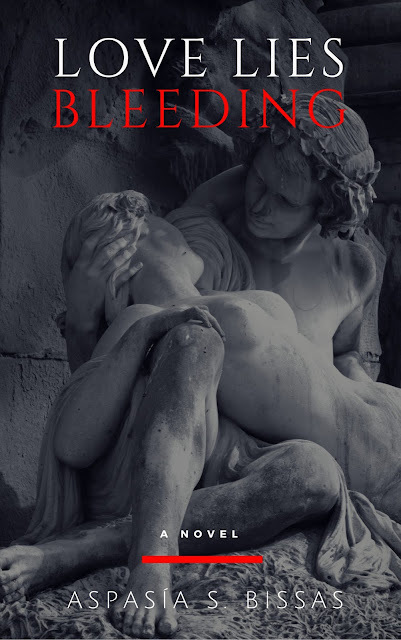 The stone in the mouth may have been intended to keep the vampire from eating its own flesh and burial garments, a trait specific to Polish vampire mythology. 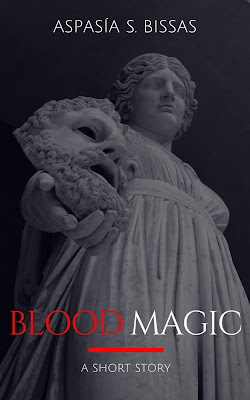 It's been a while since I last posted on Blood Lines, but fear not, faithful readers; things are about to pick up around here, starting with some info on upcoming Cons. For Vampire Diaries fans, there are three unofficial TVD-themed events to look forward to. 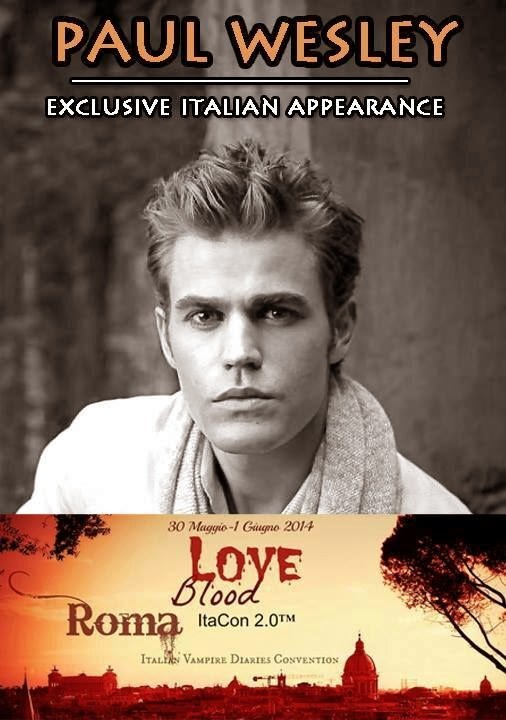 If you're lucky enough to be in Rome, Italy, on the weekend of 30 May to 1 June check out Love & Blood ItaCon 2.0, a Vampire Diaries & The Originals fan gathering. Guests include Paul Wesley, Steven R McQueen, Matt Davis, and Nathaniel Buzolic. On the other hand, if from 31 May to 1 June you're in Rio de Janeiro, Brazil, you might want to attend Vampire Attraction Con. I don't speak Portuguese so I couldn't read the info (hint, guys: include a translation option on your site), but I did gather that the featured guests are Ian Somerhalder, Kat Graham, and Rick Cosnett. Lastly, from 13-15 June, Insurgence 6 is taking place in Birminham, UK. Guests include Paul Wesley, Steven R McQueen, Rick Cosnett, Zach Roerig, Todd Stashwick, and Michael Malarkey. Each of these cons offers its own unique activities but you can generally count on photo ops, meet & greets, and autograph opportunities. Also be aware that the scheduled guests are subject to change. Anyone looking for an event with a wider scope should definitely plan to attend Terror Con, taking place in Providence, Rhode Island, from 7 to 6 June. Terror Con features tons of guests from all branches of horror, sci fi, fantasy, and the paranormal (and for some reason professional wrestling), but the vampire-specific ones include Nicholas Brendan (Buffy), Fred Williamson (From Dusk Til Dawn), Vincent M Ward (True Blood), and Bobby Campo (Being Human). A highlight of Terror Con has to be Karaoke with Nicholas Brendan. 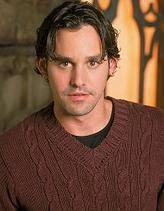 How perfectly Xander is that? The Scoobies would definitely approve. 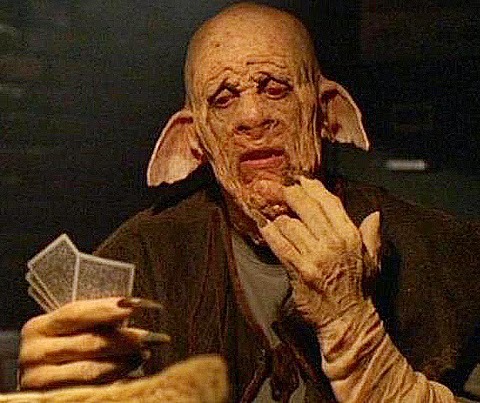 There are also going to be psychic readings, panels, a costume contest, a live sideshow, and a film festival.